Three strangers, one dire day...and hope for the rest of their lives. The day he graduated Julliard, I sat in the Hall and silently cried tears of joy. He was so sure, so confident. My little boy was all grown up. Warren was the only person who could make me think twice about my most ardent convictions. He could have done anything he put his mind to and done it with class and brilliance. That was Warren: more talent in his hand then I had in my body. All I ever wanted for him was happiness. And my last thought before I died was just how proud of him I was...I hope he knew the same. My name is Frank Neal and Warren Neal is my son. There's a picture of my father in my home. I remember the day it was taken, my seventh grade science fair. My experiment, a balloon rocket to prove propulsion stem activity. It was his idea. When I asked him why, he said "It's the theory of thrust son, and thrust is exactly how you should start every day of your life!" In contrast, he once declined an offer to be a District Court judge, an appointment of fourteen years with a pension to follow, saying he could never sit anywhere for eight hours a day. That was the dichotomy of my father and I've been trying to figure him out ever since. I'm Gene Bonner's son, Ben. Her life was so wonderful: a standing reservation at the Ritz for high tea with Nora, black car service to Saks on the Main Line and two weeks at Canyon Ranch spa every winter. Jan was grounded, always grounded. I made sure of that. She had it all, a husband we loved like a son, a beautiful healthy daughter and enough wealth to want for nothing. But there was always something missing within her...a sadness. We rarely discussed it; she was always so outwardly strong. I'm Lea Pickett, Jan London's mother. Destiny...Charlie Boone's will be found on a cross country trip with a complete stranger, but why? 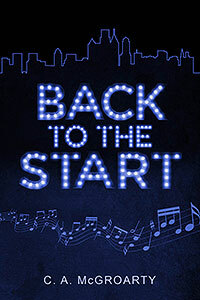 Jake Mott, an ex-con convicted of murder, and Charlie Boone, a city bus driver, are complete strangers; however, when their worlds collide, both of their lives are forever changed. Born the son of a schizophrenic woman, Charlie lives in his boyhood home with his wife and two kids, caring for his sick mother. Tormented by unsettling dreams and frightening visions since childhood, the thought that he shares the same affliction as her is beginning to look like a reality. Having spent the last three decades in prison, Jake is planning a trip to California to reclaim a bag of money he buried thirty years ago, and he's making the trip alone...or so he thinks. Together they embark on an epic journey of hope and redemption, but only one will live to tell about it. 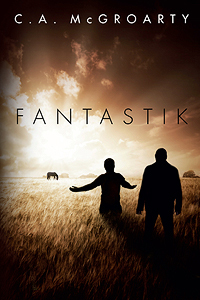 Fantastik was originally a screenplay that I wrote while living in Chicago, Illinois. At some point shortly after writing the screenplay it dawned on me that what I had was the foundation of a good novel and so I began filling in the gaps. The seeds of the novel were born out of a cast of characters my father introduced me to as a child. My father was a trial attorney who spent the better part of three decades in a Camden city courtroom. Jake Mott's character represents everything good and bad of the men my father had helped over the years. These men, who often seemed to be a weak moment away from transgression, knew me and my brother and sisters by name, they ate at our dinner table and sometimes they would come knocking on our door well past midnight in need of help or money. My father was never one to turn anyone away. Growing up in a safe, upper middle class environment, far from the streets of Camden, the lives of these men was another side of life that left an indelible mark on me. As for Charlie Boone, I believe there's a little bit of him in many of us. He epitomizes the plight of any hard working individual whose daily struggles, both financial and mental, overshadow all that is still good in his life; his marriage and his children, as he continues to make sense of the cards life has dealt him. My father died on August 2, 2012, and it was shortly thereafter that I finally committed myself to publishing Fantastik. The Harley Basil series began with a short story I wrote titled "Sophisticated Seconds." The first few drafts of the story did not even include the character Harley Basil. Many rewrites and a few edits later and Harley was born; along with the idea of making it a series. The story's setting and main character is a product of my love for the novel The Alienist, by Caleb Carr. The Alienist is a book that I have read three times and picked up at least another half a dozen. To this day it is my favorite novel and I still vividly recall the first time I ever opened its cover (Memorial Day weekend, Chicago 1996) and for the next four days fell into its dark, fascinating world. 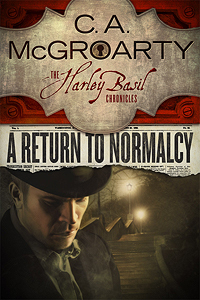 "A Return to Normalcy" is the first short in the HBC series, with "The Scientist" to follow shortly hereafter. It's a series that when said and done will span a forty-year period, earliest being 1879—Harley's youth, and cover three different continents while skillfully intertwining a network of complex, dark, yet likeable characters, all of them serial killers, all of them having a connection to Harley.